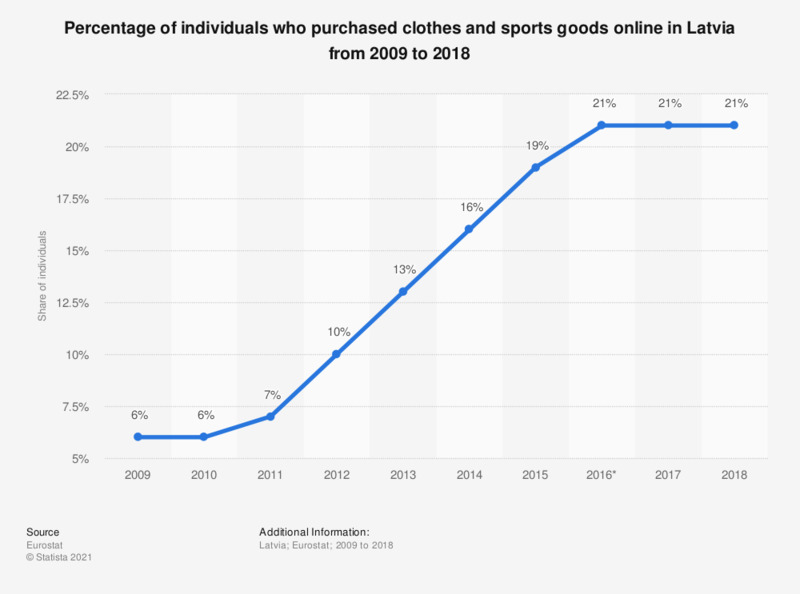 This statistic shows Latvia's internet purchase figures for clothes and sports goods between 2009 and 2018. The percentage of online shoppers in Latvia has experienced a gradual rise since 2009. In 2016, figures for internet shopping for clothes and sports goods in Latvia reached a solid 21 percent, then stayed at this figure for the next three years till 2018. Data coverage corresponds to code I_BCLOT of INDIC_IS (Information Society Indicators). * Break in time series.